We offer volume pricing, email sales@zonedpink.com for a quote. 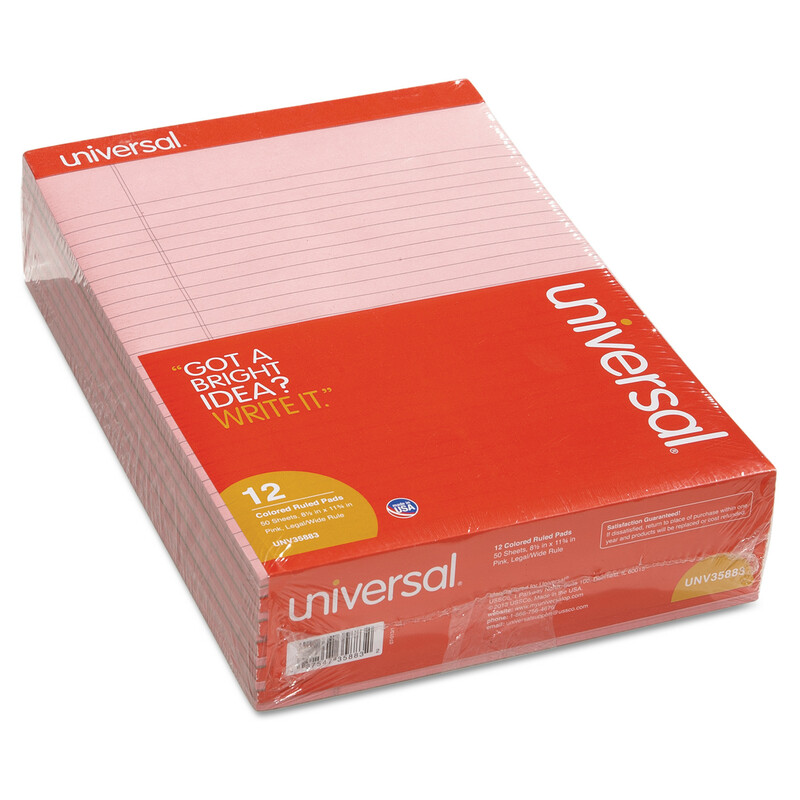 Attractive, affordable, fashion-colored ruled pads feature excellent-quality, free-sheet paper. High-quality perforation for clean-edge separation. Personalize and color code. Chipboard back. 16-lb. paper. Pad Type: Notepad; Sheet Size: 8 1/2" x 11 3/4"; Ruling: Legal; Number of Sheets per Pad: 50.